The Lira Ministry Zonal Office (MZO) was officially inaugurated on the 2nd of February 2017 in the presence of H.E Gen. Yoweri Kaguta Museveni, President of the Republic of Uganda and Hon. Minister of Land, Housing and Urban Development, Betty Amongi. Lira MZO has been operational since then, providing key services of the Ministry of Lands, Housing and Urban Development (MLHUD) including land registration, land valuation and physical planning. This zonal office covers 8 districts in the Lango sub-region (Lira, Apac, Oyam, Kole, Dokolo, Alebtong, Otuke and Amolatar). By February 2018 14 additional MZOs will be fully operational in Fort Portal, Kibaale, Masindi, Arua, Gulu, Mbale, Mityana, Luwero, Mpigi, Tororo, Soroti, Moroto, Kabale and Rukungiri. 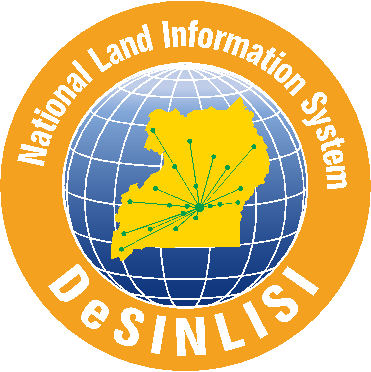 Once complete, the National Land Information System will include 21 decentralized, self-contained, one stop Ministry Zonal Offices (MZOs) across Uganda. During this official opening, the government recalled the national-wide objectives: have clearly demarcated property nation-wide, well documented and computerized, so that both private and public land are safe. Since 2009 IGN FI has been strongly involved in Uganda to develop and implement a computerized Land Information System. After a pilot phase covering 6 cadastral districts (Kampala, Mukono, Wakiso, Jinja, Masaka and Mbarara), the project entered a new phase in 2015 with the roll-out on the national level. The LIS is expected to be deployed throughout the whole country by 2018. The new system applies to Freehold and Leasehold titles, Mailo titles and Certificates of customary ownership. It prevents encroachments on wetlands, forests, road reserves and other public land reserves. It reduces the time required to check, update and transfer land. It increases the security of land tenure and contributes to a reduction in corruption associated with checking, updating or transferring of titles. It delivers services closer to the public.